Recently, here at Cocktail Builder, we’ve been obsessed with everything mezcal — from finding new recipes that highlight and balance the spirit’s signature smoke to swapping it into cocktails that are classically made with its agave-based cousin, tequila. Despite the similar obsession across the United States — sales have doubled over the last four years thanks in large part to its growing availability and appearance on craft cocktail menus all across the country — mezcal remains one of the most misunderstood spirits on the market. First of all, the notion that high-quality mezcal can and should come with a worm in a bottle couldn’t be further from the truth. What else do you need to know? Here, we break down the top facts about the spirit, provide tips for drinking it like a pro, and share three of our favorite mezcal-based cocktails. ¡Salud! Like tequila, mezcal must be made in Mexico from the agave plant; however, mezcal is a broader category under which tequila falls. While mezcal can be made anywhere in the country using more than 30 varieties of agave, tequila can only be produced in the Tequila region and must be made using only Blue Weber agave. Therefore, tequila is technically a type of mezcal, but mezcal is not tequila. The other big difference between the two spirits is the production method. 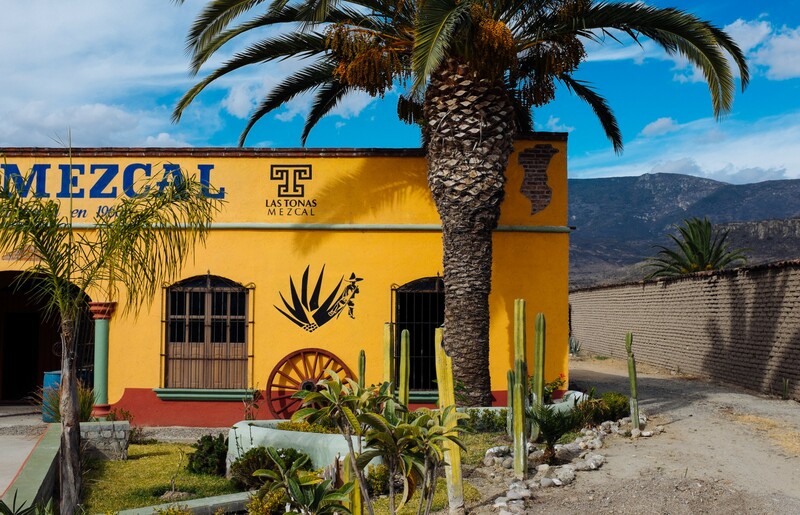 Tequila’s agave is typically baked in stone ovens or autoclaves, while mezcal distillers traditionally slow-roast the agave by burying it in underground pits lined with volcanic rock, which imparts the spirit with its signature smoke. That said, this smokiness can range from subtle to in-your-face, and it’s just one of the many characteristics to be found in mezcal, from earthy to fruity to floral. Like with many other spirits, you can find stronger or milder versions to fit nearly any palate. This is not the time to bust out a shot glass and pour an ounce of mezcal down your throat. If drinking a quality product (not a bottle with a worm in it, which is just a marketing gimmick and will typically land you with some very cheap alcohol), mezcal should be enjoyed slowly. 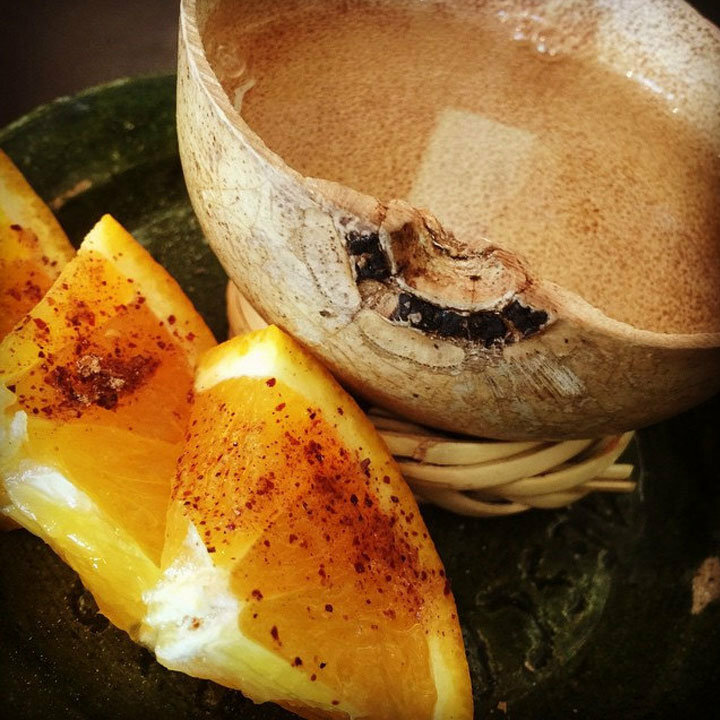 If done the authentic Mexican way, the spirit is served in a shallow clay cup called a jicarita. Like with a glass of fine red wine, the shape of the vessel allows you to breathe in the aroma before taking a sip and swishing the liquid around in your mouth. This opens up your palate and allows your taste buds to adjust to the initial burn of the alcohol. With each new sip, you should be able to taste the spectrum of flavors in the mezcal, from smoky to fruity to vegetal. Jicaritas of mezcal are often served with orange slices sprinkled with sal de gusano, a mix of salt, ground chile peppers, and ground roasted worms from the agave plant. According to Diana Corona of the Gran Mitla brand of sal de gusano, these worms, if left alone, can eat the agave from the inside. And what better way to get rid of the pests than by eating them yourself? In fact, the consumption of these worms dates back to the Aztecs, when the crawlers were said to hold healing and strengthening properties. Unlike the salt-and-lime ritual of tequila shots, sal de gusano is meant to complement and enhance the taste of mezcal, not mask it. The gentle smoke and spice of the salt brings out those same flavors in the spirit, while the freshness of the citrus keeps your palate cleansed so that you keep uncovering new dimensions sip after sip. All that said, drinking spirits neat isn’t for everyone, especially with something as distinct as mezcal. If you want to dip your toe in the water instead of diving in the deep end, try one of the following three cocktails. Each of these boasts a brilliant blend of smoky, spicy, earthy, and sweet for that perfect harmony we all want in a drink. Combine tequila, mezcal, agave, and bitters in a cocktail shaker with ice. Stir with a spoon until chilled and strain into a rocks glass with new ice. Hold a lighted match over the drink in one hand and the orange peel in the other. With the orange side facing the flaming about an inch away, squeeze the peel until oil sparks. Put out the match and drop the peel into the cocktail. Add all ingredients to an old fashioned glass and fill with ice. Stir until chilled and garnish with an orange slice. In a cocktail shaker, muddle the lime wedges and bell pepper slices. Add the remaining ingredients and fill with ice. Shake until chilled and pour without straining into a rocks glass. Garnish with a small piece of beef jerky.